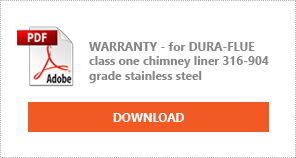 Welcome to our information website on Dura Flue premium chimney liner, if you’re a tradesman you’ll be better off to visit www.flue-ducting.co.uk where you can login and purchase all of our products. If you’re an end user looking to purchase our products please e mail us on sales@flue-ducting.co.uk or call us on 0161 480 2994 and we can give you the details of your nearest Retailor or reseller. So who are we? 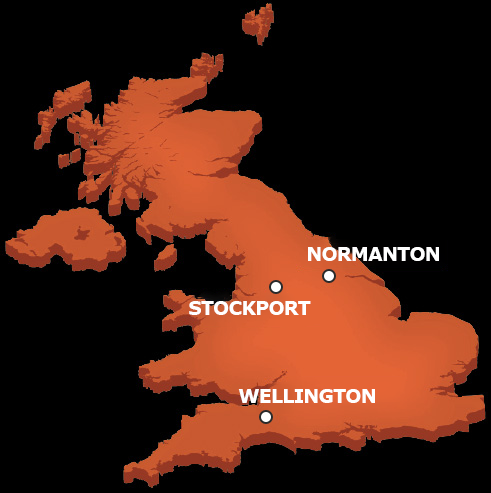 We’re a Stockport based manufacturing company called Flue & Ducting Ltd, with trade depots in Stockport, Normanton and Wellington supplying the general trade UK wide with all products relating to chimneys. We manufacture the number 1 chimney liner in the UK, DURA FLUE. Dura Flue is the only chimney liner in the UK to be manufactured in our special way that gives it it’s unbelievable strength, flexibility and longevity. We also stock a huge range of chimney products that are available UK wide on a next day delivery. 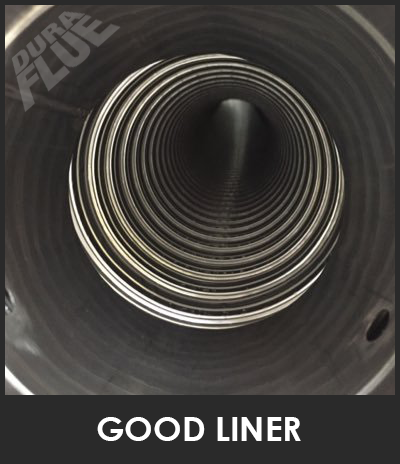 Dura Flue is the only chimney liner in the UK that is manufactured in such a way that it does not come apart internally when flexed or installed. It is the only chimney liner on the market that is manufactured so that the internal duct is completely sealed (You can see from the pictures the difference). If the flue liner you’re considering to purchase has to be fitted a certain way up (it will have directional arrows on it) then it’s not Dura Flue. Dura flue can be fitted either way up because it’s completely sealed inside so whichever way it is fitted you’ll be safe to know it’s fitted correctly. The outer strip is profiled into a hard corrugated shell, so when the liner is being dragged down a brick chimney it’s protecting the inner smooth duct. 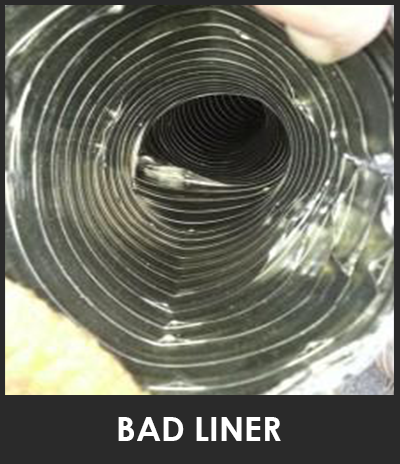 With standard chimney liner this is where the inner duct is damaged on installation and the internal ‘flaps’ will come apart (refer to picture). This doesn’t happen with Dura Flue, the corrugated outer skin can take the punishment of installation leaving the inside nice and smooth. The inner strip is pre profiled in such a way that when formed it’s completely smooth, the surface of the stainless steel is completely fresh and has never been compromised therefore making it much more difficult for corrosion to set in. With conventional liner you’ll be able to see fine scratches on the surface of the ‘flaps’ where the steel has been compromised in production, you’ll also very easily be able to pull apart the liner with your hands with no real effort. You cannot do this with Dura Flue. As the steel has not come under any stress or forces during manufacturing the possibility of corrosion is minimised, as there are no weak spots for corrosion to set in. Dura Flue is also tested well above the standards required for a liner in Britain and as such we offer a 15 year warranty on our 316 grade liner and a 30 year warranty on our 904 grade liner. Use the form below or write to us at sales@flue-ducting.co.uk to get in touch.